While the 2012 season is not yet a month old, injuries and slow starts are already prompting clubs to consider making roster changes. Many of the early season call-ups will hardly cause a ripple in your free agent pool, but there are impact prospects who could reach the majors sooner than anticipated. Now that the dust has settled on spring training and 25-man rosters have been finalized, we can get a clearer picture of the likely candidates for the 2012 AL and NL Rookie of the Year Awards. While there are plenty of high-profile prospects expected to be the early pace-setters, the rookie of the year field is notoriously difficult to handicap. This is the last installment of our annual review of the top prospects in baseball by position. With the regular season starting, some of the players listed below have won jobs in the big league bullpen while others are on the cusp waiting for their opportunity. Unlike other positions, there aren't many top relief pitching prospects in the lower minors. 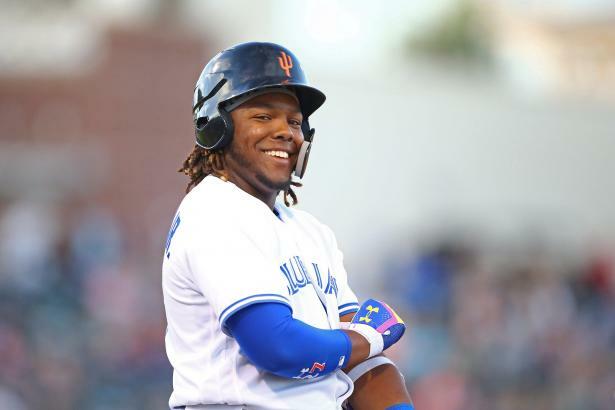 With the start of the regular season less than a week away, we continue our annual review of the top prospects in baseball. This week we take a look the top starting pitching prospects in the game. Each year there seems to be a bevy of talented young hurlers that establish themselves as rotation mainstays. Here are our Minor League draft grids, the essential tool for dominating the end-game or minor-league portions of your drafts this weekend. Much of the prospect discussion in spring training has revolved around future stars such as Bryce Harper, Mike Trout, and Matt Moore. There has also been plenty of focus on international talents. While Yoenis Cespedes and Gerardo Concepcion have signed with major league organizations, Jorge Soler is waiting to be granted free agency by Major League Baseball. These three international prospects are profiled here with full scouting reports and a prognosis for future success. This week we continue our annual review of the top prospects in baseball by position, this time with top OF prospects. From a depth standpoint, this year's crop of outfielders seems a bit on the light side. This is overshadowed by the presence of the two potential behemoths at the top of the list: Bryce Harper and Mike Trout. This week we continue our annual review of the top prospects in baseball by position, this time with top 3B prospects. On the surface, there doesn't appear to be any prospect assured of significant playing time in 2012. There aren't many openings at present, though a few prospects could take advantage of minor injuries or the lack of depth. The lack of major league-ready 3B shouldn't be any indication, however, of the quality of prospects at that position. This week we continue our review of the top prospects in baseball with an overview of the shortstop position. Unlike the other positions we have reviewed (C, 1B, and 2B), shortstop is loaded. At the top of the list are two dynamic and athletic players: Jurickson Profar (TEX) and Manny Machado (BAL). This week we continue our annual review of the top prospects in baseball by position, focusing on second base. For the past two weeks we have been lamenting the lack of positional depth at C and 1B, and that theme continues this week as 2B is historically the thinnest position in the minors.